Impact cratering is a geological process characterized by ultra-fast strain rates, which generates extreme shock pressure and shock temperature conditions on and just below planetary surfaces. Despite initial skepticism, this catastrophic process has now been widely accepted by geoscientists with respect to its importance in terrestrial — indeed, in planetary — evolution. About 170 impact structures have been discovered on Earth so far, and some more structures are considered to be of possible impact origin. One major extinction event, at the Cretaceous-Paleogene boundary, has been firmly linked with catastrophic impact, but whether other important extinction events in Earth history, including the so-called “Mother of All Mass Extinctions” at the Permian-Triassic boundary, were triggered by huge impact catastrophes is still hotly debated and a subject of ongoing research. There is a beneficial side to impact events as well, as some impact structures worldwide have been shown to contain significant (in some cases, world class) ore deposits, including the gold-uranium province of the Witwatersrand basin in South Africa, the enormous Ni and PGE deposits of the Sudbury structure in Canada, as well as important hydrocarbon resources, especially in North America. Impact cratering is not a process of the past, and it is mandatory to improve knowledge of the past-impact record on Earth to better constrain the probability of such events in the future. In addition, further improvement of our understanding of the physico-chemical and geological processes fundamental to the impact cratering process is required for reliable numerical modeling of the process, and also for the correlation of impact magnitude and environmental effects. 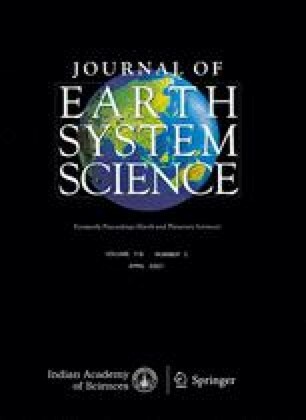 Over the last few decades, impact cratering has steadily grown into an integrated discipline comprising most disciplines of the geosciences as well as planetary science, which has created positive spin-offs including the study of paleo-environments and paleo-climatology, or the important issue of life in extreme environments. And yet, in many parts of the world, the impact process is not yet part of the geoscience curriculum, and for this reason, it deserves to be actively promoted not only as a geoscientific discipline in its own right, but also as an important life-science discipline.